I know this post is long overdue! Yesterday, I finally decided not to be lazy and compiled and fixed every photo and tried to remember everything about our Baguio trips last year! Muffet, Ian and I loved our Baguio trip last September so much that I decided to celebrate my birthday there with them, too. Baguio definitely holds a lot of memories for me, especially when I was young. My family and I would frequent Baguio be it ordinary weekends or long holidays. It was nice to go back after a long, long while. 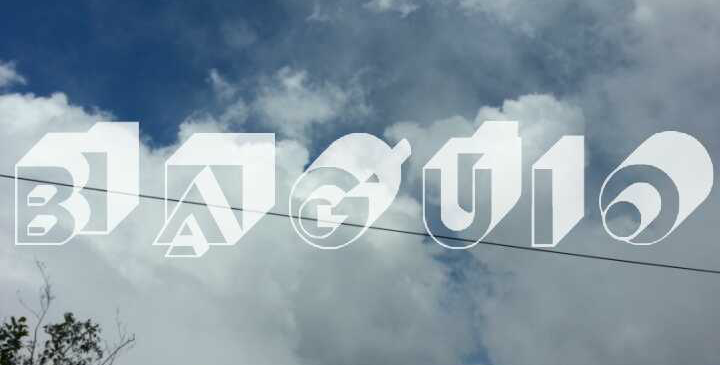 A lot of things happened in the last quarter of 2013. I got busy (yeah right) and I went to so many places that I never got the time to post anything about our Baguio escapades since then (and I might have procrastinated a teeny bit). This post is for our September trip, I figured I'd have a separate entry for our October trip because I got really confused with the timeline and all. Hehehe. We made a list of the places and restaurants that we'll visit so we can maximize our 4 days stay there. As soon as we got off the bus, we had a taxi take us to Glenn 50's Diner. 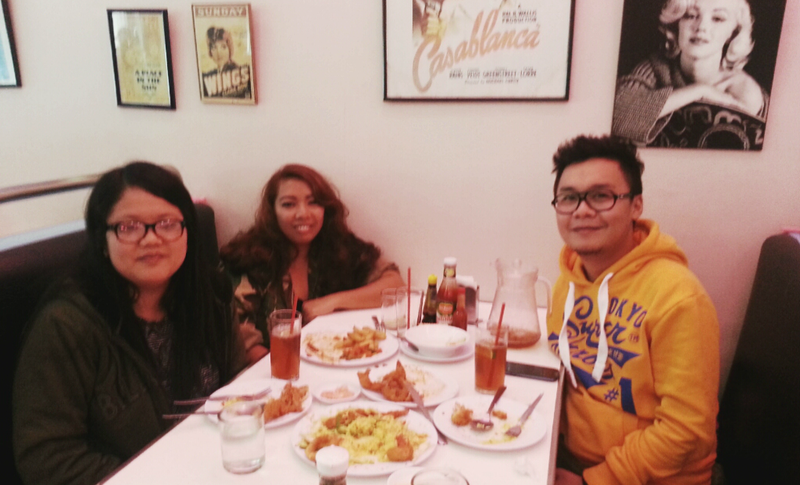 I think no visit to Baguio is actually complete without eating at 50's Diner. 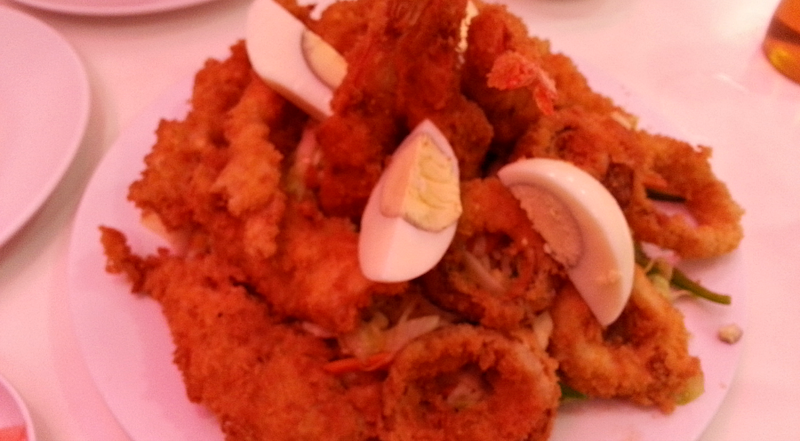 This tourists and locals' favorite food joint is located at 92 Upper General Luna Road, Corner Brent Road. True to its name, the place indeed exudes that American diner vibe. Starting with their signage, the chairs and tables, walls decorated with vintage American movie posters and neon lights stringed the place. There's also a jukebox and of course, music was playing when we got there. Nothing too pricey on the menu, mostly PhP 300 and below. They really had a vast array of choices (see their menu here), it was so hard to decide when you got no particular food in mind. The place gets filled up pretty quickly, too. In the end, Ian and I picked this one. This meal is called the Mix Seafood (I think) which is "an assorted kind of seafood with different kind of cooking served with fries and vegetables." Instead of fries, we substituted it with rice because we were so hungry. We were kind of disappointed with this because... well, we didn't enjoy it at all. The batter was thick and it was too crispy that we had a hard time eating it to the point that the roof of your mouth hurts. I guess we should have ordered their bestsellers. And their milkshakes. Next time maybe. Service was good, their staff were really friendly. You could even see the restaurant owner clearing tables and getting into conversations with their patrons. 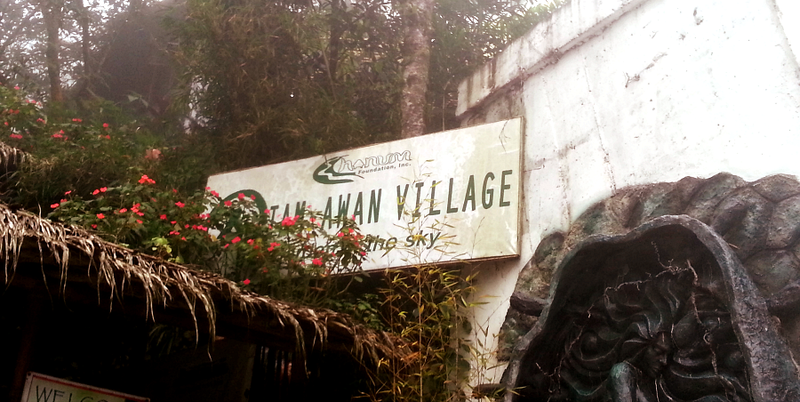 Our next destination that afternoon was Tam-Awan Village. 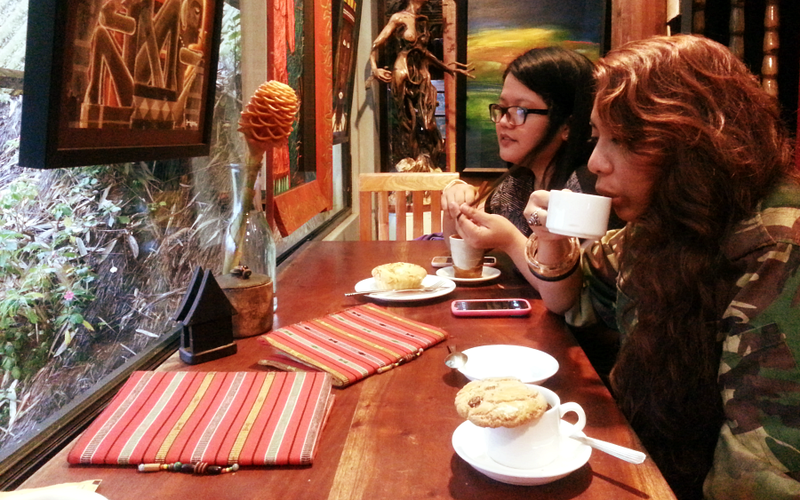 Muffet suggested we visit Tam-Awan for a cultural fix. 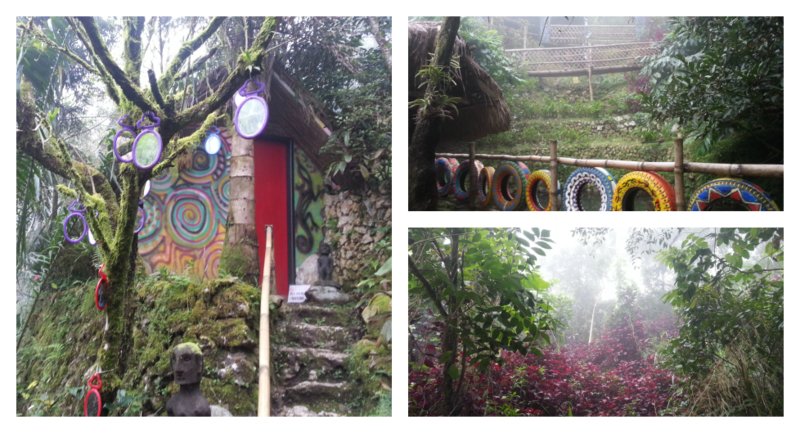 Tam-Awan Village showcases reconstructed Ifugao houses (acquired by Chanum Foundation) so that the Cordilleran culture would be made accessible to people. It also established by Ben Cabrera (along with Chanum Foundation as well) last 1998 to promote artists from Baguio. Entrance fee for children is PhP 20, PhP 30 for students and PhP 50 for adults. We arrived there early in the afternoon and it was drizzling. It was quite foggy that day so we weren't able to take good photos of the place. The photo on the right is what you'll first see upon climbing the stony staircase to the village. It's the Alang or the rice granary. A pair of bul-uls or rice gods are situated inside to guard their harvests. I think some of the huts were also available for lodging / accommodation. We saw a lot of tourists staying in those huts and like us, absorbing the beauty of the place. We were only able to roam around the huts and trails that were visible since the place was slowly being enveloped by the fog. The village was really enchanting, at the same time enriching. 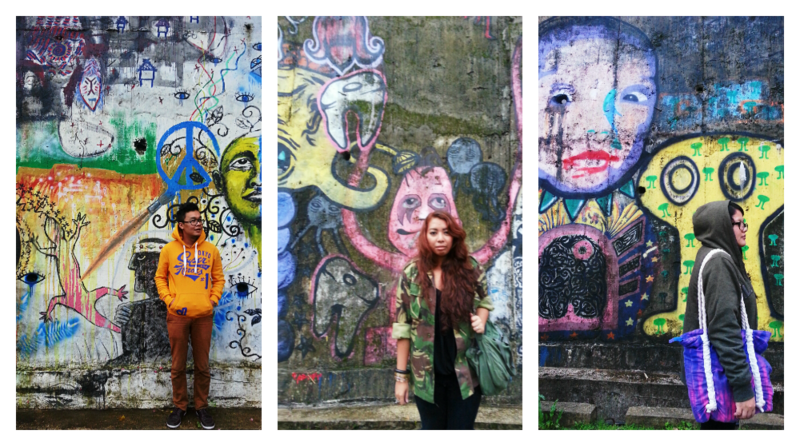 It's these types of places that remind you that Baguio is so much more than the pines and the cold weather. That it has a warm soul behind it. There's so much things left to be discovered. After a couple minutes and a few snapshots, it started to rain really hard. So we headed to the Tam-Awan Village Cafe. 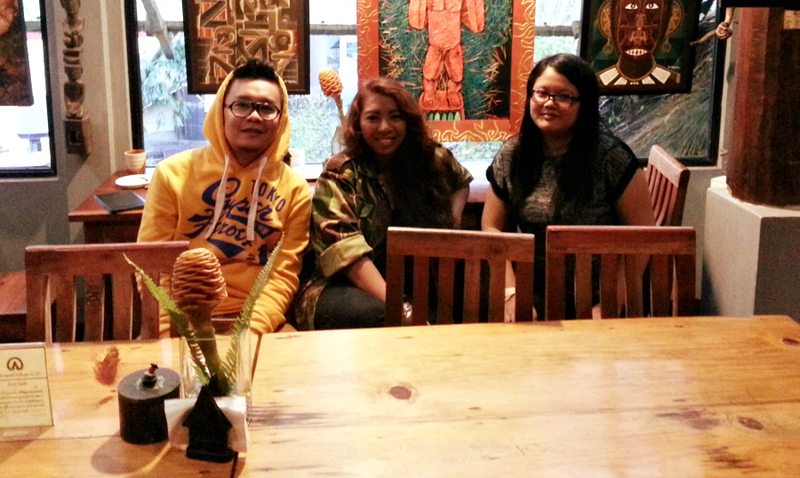 The cafe housed a lot of art pieces, wines made from the Mountain Province and of course, souvenirs. I think we spent an hour or 2 there. Waiting for the pouring rain to stop, chit-chatting over our refillable coffee and hot chocolate paired with some pastries (that amazingly cost us under PhP 140). We are literally surrounded by the inch with artworks--wooden sculptures, paintings and so much more. The pieces are not allowed to be photographed by the way so I had to choose pictures that does not fully show the works. I've read from other blogs that Tam-Awan Village has artists that can do portrait sketches for a fee. 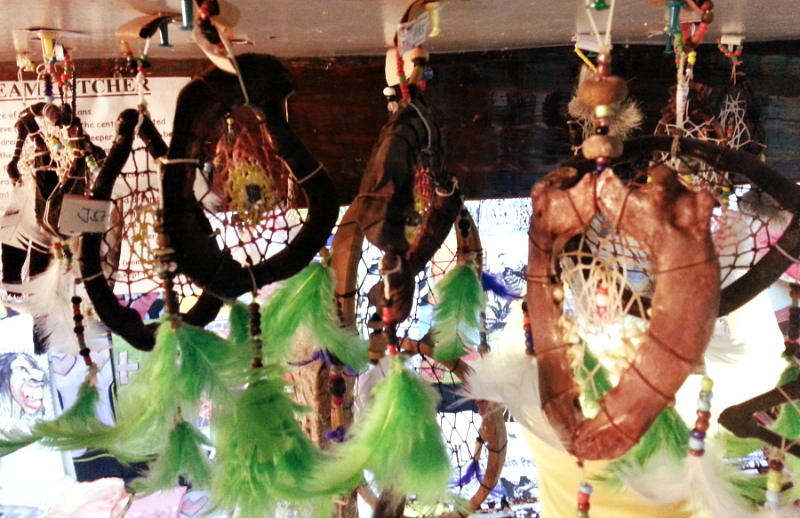 There's also a souvenir shop and gallery upstairs. There was also another art gallery directly across Tam-Awan Village called Arko Ni Apo, which is owned by Ben-Hur Villanueva. Might check that out the next time we visit Baguio. Last stop for the day--or by that time, that night: ZOLA Cafe. We were walking around Session Road that night, a bit tired and just looking for a place to eat, since we decided not to cook when we get home to where we're staying. Apparently, we did not do enough research. We all thought that Zola was a fine dining, sort of laid back restaurant. This one is located in Patricia De Baguio Building along Upper Session Road. I'm sure you won't miss it. We were surprised to find that it's actually a hangout place, complete with loud music and beer and cigarettes. Not a very family-friendly place at night. That cozy yellow light is deceiving! Haha. Since we're too tired to find another place, we settled there. I decided to pick breakfast food because breakfast food never fails! I have a rule that if you don't know what to eat and breakfast food is available, choose breakfast food! Ian picked the pasta and Muffet opted for the controversial Grilled Chicken Salad. Haha. Food was good by default because it was bacon. But nothing out of the extraordinary. We were dead tired but it was certainly a nice way to start our 4-day trip! Hello! How was their PHO? close to authentic ba?